Researchers at Rice University and the Texas Heart Institute have created the internal components for a battery-free pacemaker, designed to be inserted directly into the heart and free of wires. The team has successfully demonstrated the device in a pig heart, showing that it can tune the animal’s heart rate from 100 to 172 beats per minute. 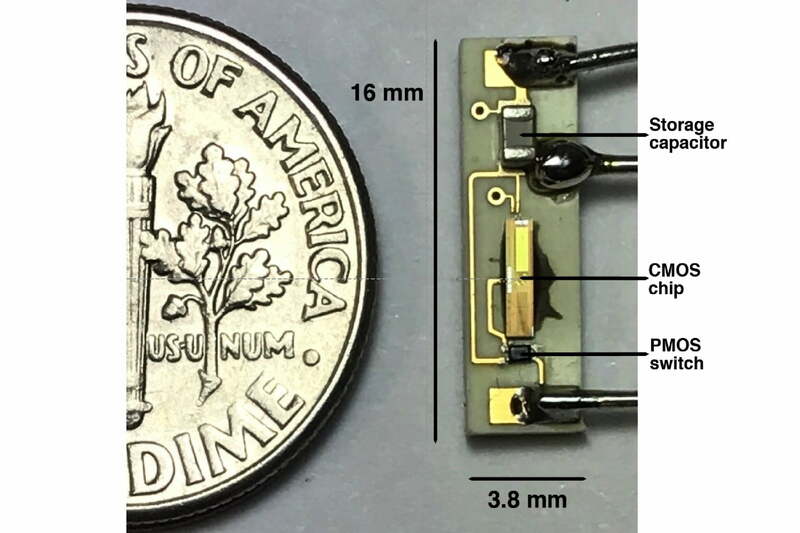 The prototype — which is smaller than a dime in size — is being shown off this week at the Institute of Electrical and Electronics Engineers’ International Microwave Symposium (IMS) in Honolulu. It incorporates a receiving antenna, AC-to-DC rectifier, power management unit, and pacing activation signal. It receives power via microwaves in the 8-to-10 GHz electromagnetic frequency spectrum. To resolve this issue, recently pacemaking companies have introduced leadless pacemakers that are implanted in the heart. However, these pacemakers have two main problems: They have a non-rechargeable battery and they are limited to single-chamber pacing, while the heart has two chambers that must be paced. The resulting pacemaker could help with specific heart diseases, such as Cardiac Resynchronization Therapy (CRT), which require dual-chamber pacing. The next step, Babakhani said, involves developing the prototype further. The team wants to make the device more robust, to add sensing elements to it, and to demonstrate it in action using multiple chips simultaneously. In a related piece of work, they are also trying to resolve the complications of defibrillation — the process of restoring the heart’s normal rhythm using a controlled electric shock — using an array of implantable chips. This would greatly reduce the pain caused in defibrillation.